How is your current vendor protecting you? Are they a sole source? Do they have the capacity to get your load fulfilled at a different facility? 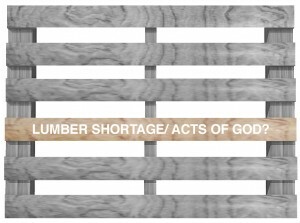 Have you experienced “pallet drought”and have not been able to order the products you need? Commodity volumes fluctuate and unexpected evens happen. We are prepared to revolve those issues when they arise. Our team and mills across the U.S. help to ease the pains that can occur in the industry.